As a community of learners, Concord Academy students and adults share more then ideas and academic pursuits. We share space, furniture, property and a responsibility to care for those areas that we learn and live in. An extension of CA’s commitment to common trust is the belief that students and adults are all involved in caring for the school’s common spaces. School service programs at CA allows students to work closely with the operations and kitchen staffs to better understand the amount of time and effort it takes to keep a school community fed, cleaned, and maintained. Community Clean-Up is a student-initiated program which began at CA in 1988. The goal of the program is to provide students with a way to contribute to the school and the community by conducting a major clean-up of the campus grounds each fall and spring. On the last day of school, all students gather to help clean the student houses and the campus. Teams of students and faculty share the work of getting the campus ready for the many summer programs that use the school facilities in the summer months. Day students partake in cleaning common spaces on campus—boarding students focus on cleaning their houses. The kitchen duty program has become a distinctive and integral part of a student’s experience at Concord Academy. Through their participation in kitchen duty, CA students learn to cooperate with others, to value doing jobs on time, and to enjoy the satisfaction of a job completed and well done. Day students eat lunch at school, and frequently eat dinners and breakfasts on campus as well. Consequently, both day and boarding students perform kitchen duty during the school year, thus creating an atmosphere of equality that reflects a group effort by the entire school in taking responsibility for serving the CA community. Day students do an evening of kitchen duty per semester and boarders do a weekend day per semester. 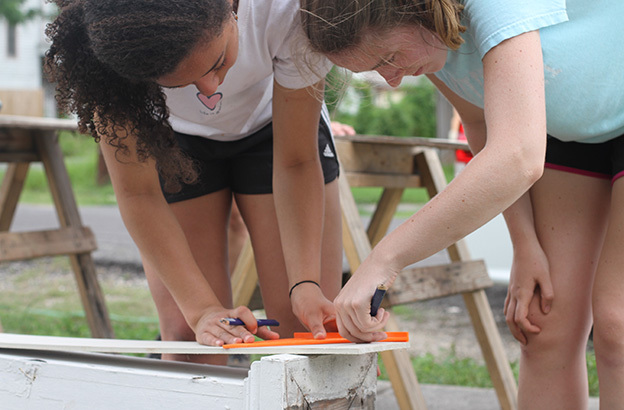 Although CA has no hourly requirement for service, there are many service opportunities that are built into the life of the school that all students must participate in during the academic year. These service days emphasize the value and importance of service, and offer students a chance to give of themselves to communities in and around Concord. Every year, CA honors the memory and legacy of the late Dr. Martin Luther King Jr. In lieu of classes, students and faculty participate in more than a dozen events including workshops, music and stage performances, and community service opportunities. In recent years, MLK service opportunities have included playing music and performing for seniors at Cooperative Elder Services in Concord, painting and cleaning at Minuteman ARC in Concord, and preparing and serving meals at Rosie’s Place in Boston. 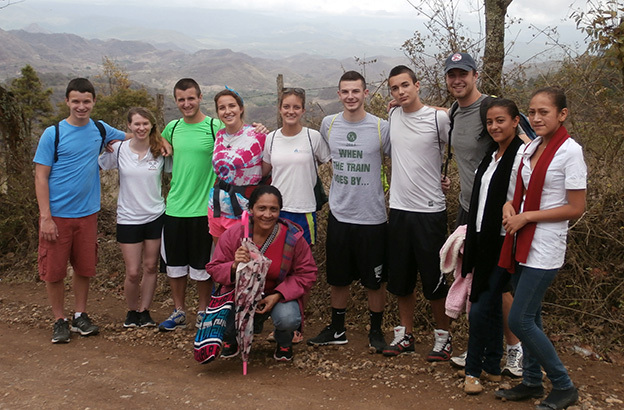 CA students have the opportunity to join service trips to areas around the United States and in other countries. Service trips have brought groups from our community to help local organizations in New Orleans; Washington, D.C.; the Grand Canyon; the Cheyenne River Indian Reservation in Eagle Butte, S.D. ; China; and Nicaragua.